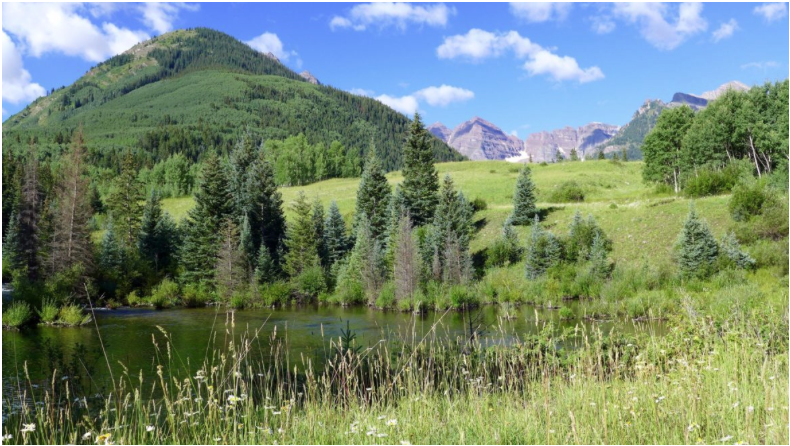 Site of proposed maroon creek reservoir via Aspen Journalism. The city spent $89,000 [in 2017] on legal work to keep their rights to build reservoirs on Castle and Maroon creeks. The city faces opposition in water court from environmental groups, property owners and other government agencies. One of the biggest concerns is that reservoirs on those scenic creeks would flood wilderness areas. That legal work will continue into 2018. Next year, the budget for attorneys fees and other legal issues related to water rights grows to $330,000. As the city works to keep the rights on Castle and Maroon creeks, staff has also hired consultants to find alternative locations to store water. So far, those studies have cost more than $300,000.